Simple stories about plants and people can become the seeds of greater curiosity, understanding and support for agriculture. 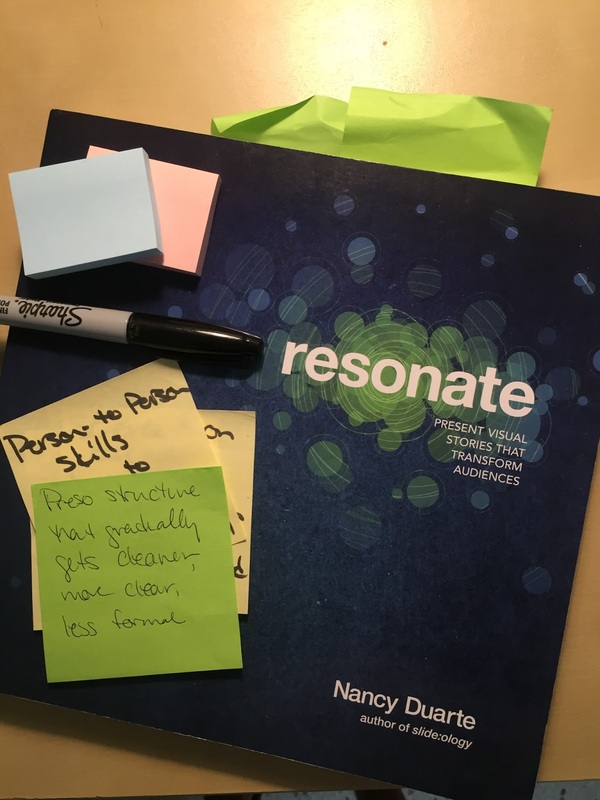 One of the most well-used and frequently-recommended books on my shelf is Resonate by Nancy Duarte. The subtitle is “Present visual stories that transform audiences” and in the two or three times that I’ve been through the entire book, it’s taught me about the hidden structure of compelling and persuasive stories, ways to organize persuasive talks to move people from what is to what could be, and elements of good design that enhance the power of messages. Plus it’s gorgeous. If I were on a deserted island, this is one of the books I would bring. That’s how much I love it. 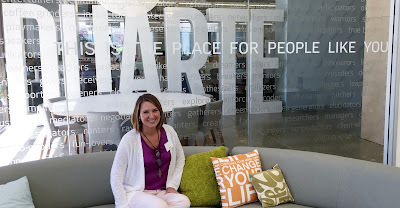 I wanted to do something different this summer (here in the US where the seasons actually change), and settled on a goal of attending an in-person training course to build my communication skills further. The public workshops at Duarte Academy fill up pretty quickly, but luckily a last-minute spot opened for a session that fit nicely with other travel plans, and I was off to Silicon Valley. 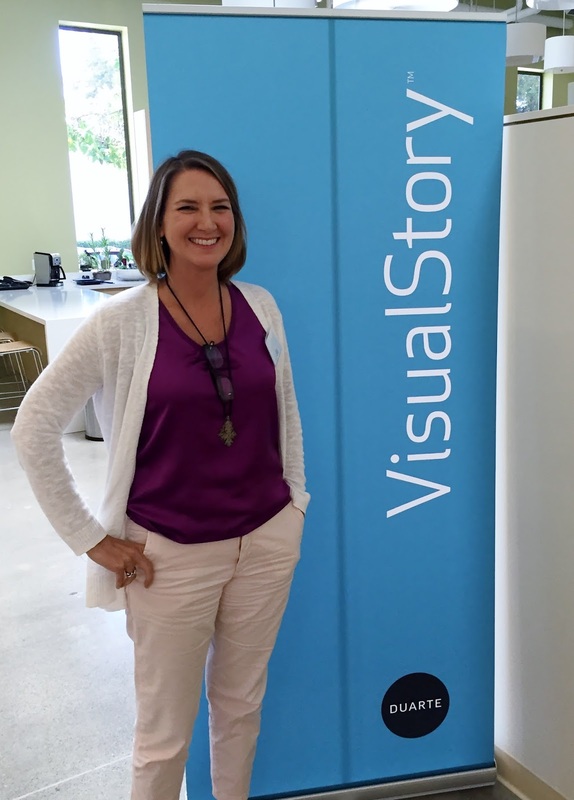 The first half of the two-day VisualStory workshop focuses on the key content from Resonate. Even though the book is so familiar to me, working through the material in the hands of a highly-skilled trainer took my appreciation to a new level. The 25 or so people in the class were mostly from the surrounding Silicon Valley tech sector, with roles in business development and sales, but also some designers and account managers. I was definitely the only one working in agriculture! (only then) generate and organize messages, stories and other kinds of content. All beautifully designed of course – and oriented in size to work on a table top with small sticky notes and marker pens. 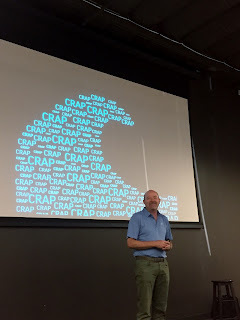 I was a little nervous that we’d have to stand in front of the group and present our work, but it turns out that’s a different workshop (Captivate)! We did introduce ourselves in the beginning, but the important work of sharing our thoughts and getting initial feedback came in the form of talking with others at our table -- a process that was less threatening but still very useful. 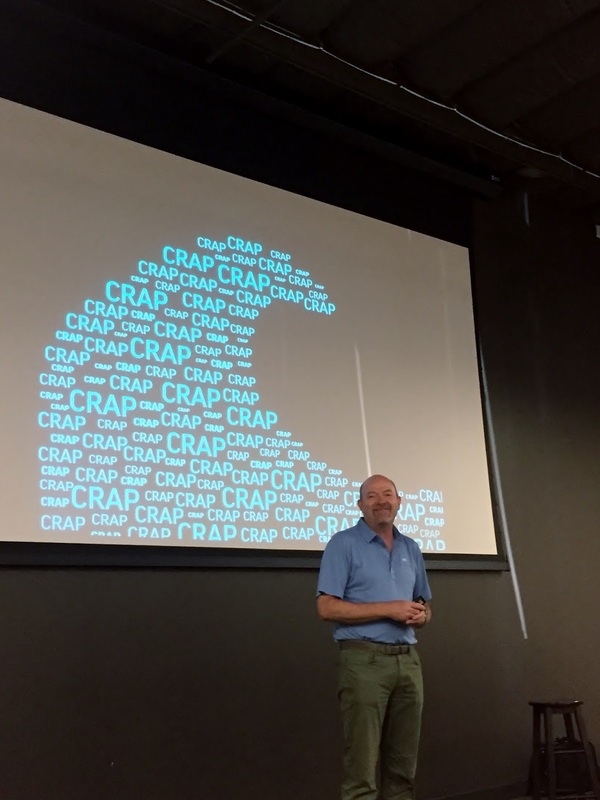 Trainer Kevin illustrates what sitting through a bad presentation feels like! The second day focused on more on the visual side of presentation design, and came with more worksheets and a copy of Nancy’s earlier book (which I didn’t have): Slide:ology. Working our way through the basics of visual clarity, turning words into diagrams, organizing and tying together different elements on and tying them together throughout the presentation – all of this restoked the fires of my inner amateur designer. During the workshop, I planned out a new presentation about the importance of speaking up about agriculture technology, targeted at leaders of research institutes. Just a week later, I was invited to give a talk in India about planning communication and outreach as research projects progress, and am using my new tools to develop that. In a world where remote work, e-courses and high-performance software is fairly cheap and easily available, there’s still no substitute for being in the same room with a gifted teacher, and wrestling with important ideas on paper with a real pen. Read the books, watch the videos, but then go do the work! Wow, Jill. Thanks for the nice article. It was lovely to have you with us for two full days!